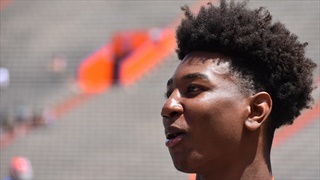 By Inside the Gators' count, 34 of the consensus top 225 prospects in the nation visited Florida over the first four months of this year. Here is a closer look at where the Gators stand with each of them. 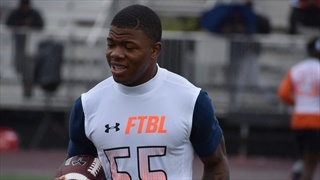 Inside the Gators takes a closer look at how several recent commitments elsewhere impacts Florida and what it means for the Gators' board going forward. 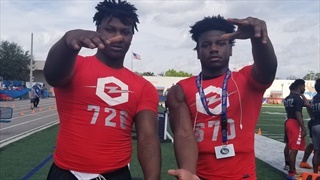 Inside the Gators exclusive recruiting news, notes and observations from Sunday's Opening Regional stop in Orlando. 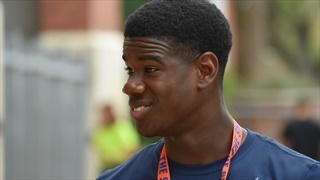 Here's our Inside Scoop Notebook on Florida commits and targets from the event. 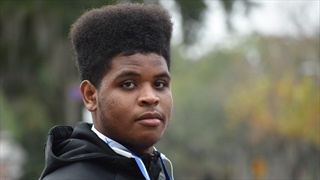 Not only is Florida the team to beat for one of the top prospects in the Sunshine State, the Gators could be adding him to their commitment list in just a matter of weeks. Roughly 70 members of the updated Rivals250 have an interest in Florida to some degree. 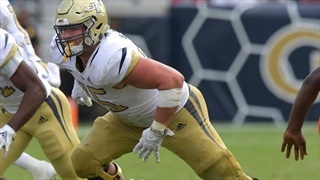 Inside the Gators takes a closer look at the offensive targets. 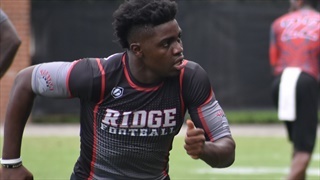 There are over 10 months remaining until the early signing period, but here are 20 prospects from the Sunshine State in the Class of 2020 that the Gator Nation needs to know. 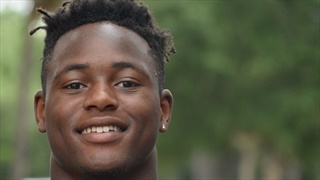 Inside the Gators takes a closer look at the last two Florida signing classes combined in order to better evaluate what the Gators need heading into the 2020 recruiting cycle. 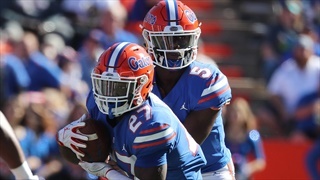 Inside the Gators had almost 100 audio notes and observations from Sunday's Under Armour stop in Orlando. Here's our Inside Scoop Notebook on recruiting and performance from the event. 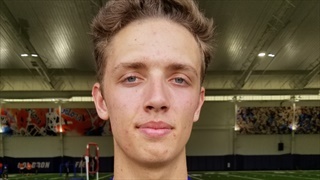 Jacksonville (Fla.) Mandarin four-star quarterback Carson Beck, who decommitted from Alabama last week, spoke with Inside the Gators about where he currently stands in recruiting. As Florida Gator coaches work on putting together Top 10 recruiting classes, in a trend that has flourished out of Gainesville, they’ll be getting a lot of help from their boots on the ground; a class made up with as many recruiters and recruits. 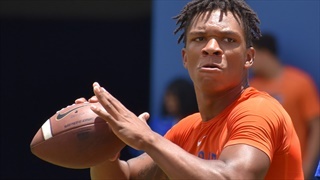 At least for the moment, Florida is no longer the given destination for home-town hero Anthony Richardson as the three-star quarterback decommitted from the Gators on Tuesday evening. 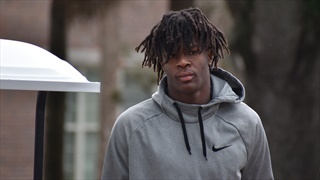 Since he has his own commitment out of the way, Dunnellon (Fla.) 2020 consensus four-star wide out Jaquavion Fraziars spent his time at Saturday's Jr. Day recruiting two prime targets for Florida. Now that the Class of 2019 is pretty much already in the books, with only a couple of targets out there remaining, this weekend Florida will turn its attention to the future by hosting quite a few top targets on campus. 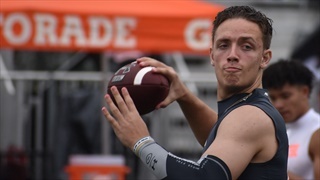 Jacksonville (Fla.) Mandarin quarterback Carson Beck was once committed to Florida to play baseball. 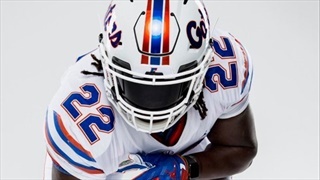 Now Dan Mullen and Company would like to see him in Orange & Blue in order to play another sport. 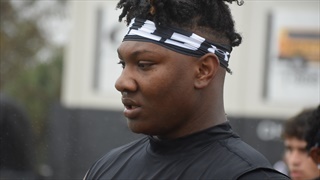 Though there are over seven months remaining in the Class of 2019, it's never too early to pay at least some attention to those who are top targets in the next recruiting cycle. Here are 20 prospects from the Class of 2020 that the Gator Nation needs to know. 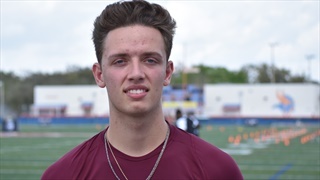 Last week Jacksonville (Fla.) Mandarin 2020 quarterback Carson Beck learned a valuable lesson at a young age: Life doesn't always go according to plan. After attending each and every Florida camp session over the last two weeks, Inside the Gators takes an in-depth look at the participants with our top 15 performers, those who surprised, those who disappointed and a few names to keep an eye on down the road.